I guess the best way to talk about this one would be to say it starts out with two of the gang facing off against the other two. Okay, maybe it's not that drastic... Riley and Lucas are on the school honor board, and Maya and Farkle are accused of cheating. So, what does all of this have to do with their history lesson on communism? In other news, little brother Auggie is wondering what he wants to be when he grows up... and the results of his current aspiration are hilarious. Riley's feeling that her room, and more specifically the bay window, should change to reflect the fact that she's growing up. However, Maya doesn't agree... she'd prefer things never change. What happens when the girls look back on the past and forward to the future? Tune in to find out! 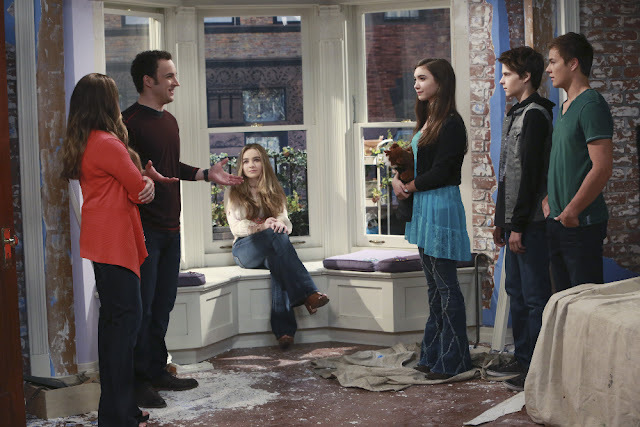 I really liked this one, guys... and not just because it shows how the girls met and how they met Farkle. It just reminded me a lot of me and my life in various ways, I think. Okay, this one got me right in the feels, guys. We all wonder what our legacy will be... and what that is and why it matters changes a bit from age to age. But I like that they wanted to do something that matters for the classes to follow. And I loved their "class prank," and I think you will as well... let's discuss it, please! 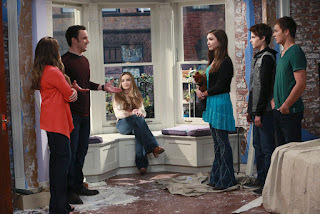 (Am I the only one that was reminded of bits and pieces throughout, or the series finale of Boy Meets World in this one?) Also in other news, Lucas makes a decision in this episode when it comes to the girls. Do you agree or disagree with his decision? Talk to me, people!